They’ve Sold Peanuts – Does That Mean It’s Me Next? So they have finally done it! They’ve gone and sold Peanuts to a faceless media corporation, but then of course Peanuts was actually owned by one before the sale with the ‘family’ owning about 25% so nothing changes there. But that did start me thinking about all sorts of other things like how can I be free and have my own rights? But before we get into my freedoms and rights come on hands up who cares if Peanuts has been sold? Personally I never liked that little guy Charlie Brown, his voice was far too high and he was cruel to most of the people and animals he encountered. 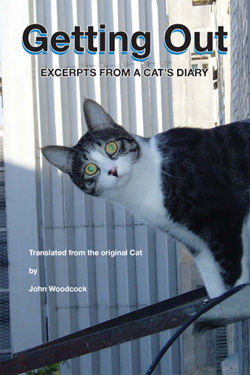 Then again of course I didn’t understand the humour, if indeed there was any, but of course I don’t ‘get’ Thanksgiving and that is because I am an English Cat. 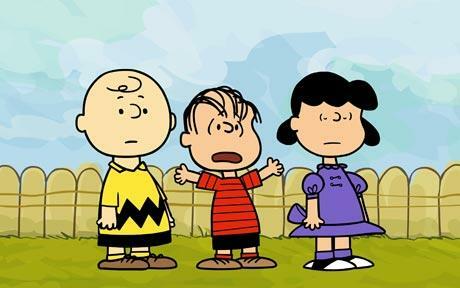 Personally I always thought that Peanuts and the other characters were rather dull and worse I think that they all look like those vomit making faces of the characters from the “Love Is” cartoon series, except for the one where “love was” drowning Charlie Brown in schmaltz or did I dream that one? What worries me and I am sure all of the other famous comedy characters like me is this – when am I going to be sold off and to whom? I really don’t think that I would like to work with those nice (I am sure) people at Iconix Brand Group Inc just look what they have done to the other ‘characters’ they own. And what’s more who has the right to ‘own’ someone else, I am I thought a free Cat, and then I looked at my contract and realised that my rights are owned by someone else and not me, making me a slave surely? That is just not good enough I should be free don’t all of my wonderful fans agree? So I have come up with a plan you will be pleased and relieved to hear to guarantee my freedom! I am going to buy the rights to myself, myself, yes you read that correctly, I am going to purchase my own rights so that I can be free to do and say what I like, and better still make the people I like such as all of my wonderful fans laugh, rather than be forced onto some TV commercial, Billboard or piece of corporate give-away crap. Now based on my research and my own assessment of my core and creative value rounded up in a Goldman Sachs sort of a way and presented as a 25 year bond, I think that if Charlie Brown was worth $175 million, yes believe it or not $175 million then I have to be worth somewhere in the region of $550 million. Actually I was going to say $500 million but my paw slipped and frankly that is a typo I can live with. So! I hear you ask, just how can I raise that kind of cash to emancipate myself? Well that is simple – Americans and the rest of the free world that is Britain and to some degree Norway believe in freedom for all and indeed all freedoms (unless it conflicts with their religion and or politics although it is difficult to see sometimes where the two separate) and that means that I can rely on them to help me in my struggle to emancipate myself in the same way that they are helping the Afghans to help themselves at the moment. So if you would like help do please rush to my wickedly wonderful website www www.thecatsdiary.com use the donate button here the giveaway and you will help this Cat to be as free as you are and that is worth the price surely? As you donate you will also be able to join the Great Giveaway, although as the millions start to roll in I may well have provide much bigger prizes.